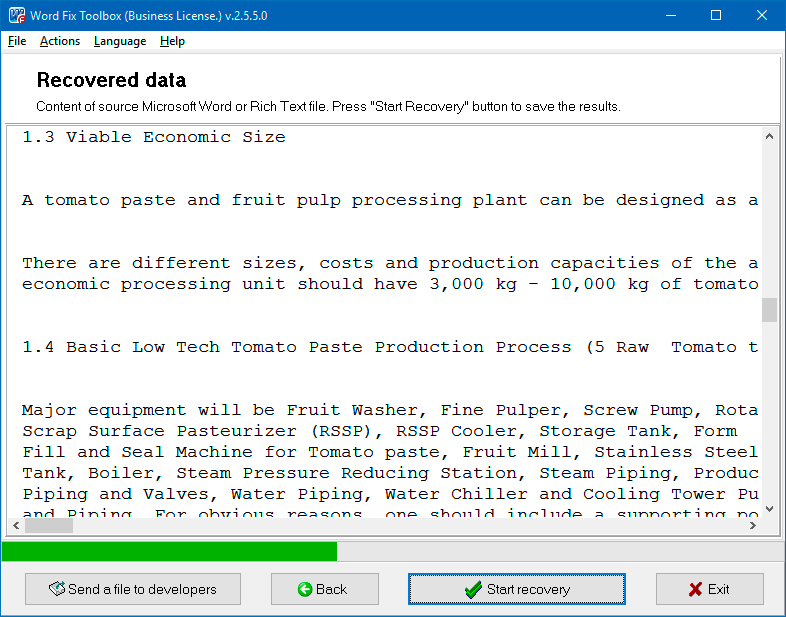 Word Fix Toolbox is a specialized tool for recovering text from damaged Microsoft Word *.doc, *.docx, *.dot, and *.dotx files, and also from Rich Text Files (*.rtf). Works with MS Word 95, 98, 2000, XP, 2003, 2007, 2010, 2013, and 2016 formats. 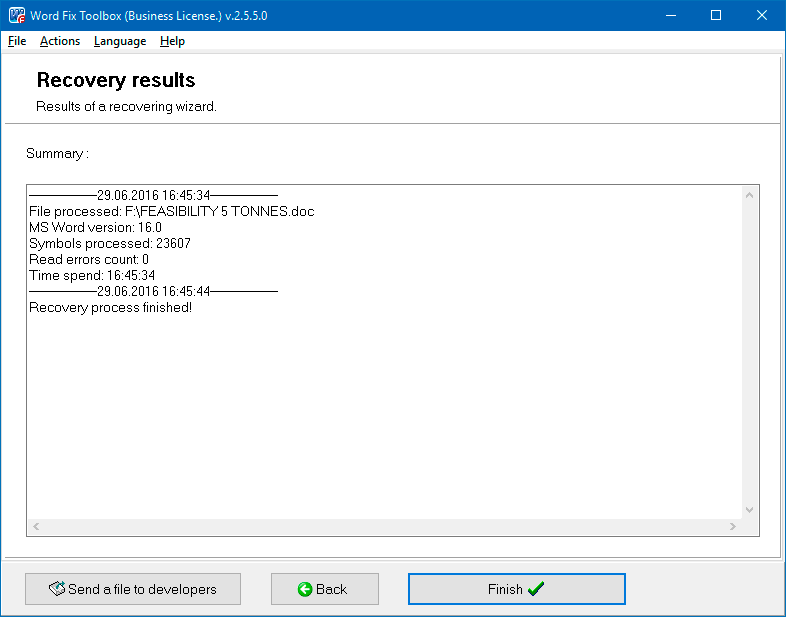 Microsoft Word document fix tool can recover text from Rich Text Files (*.rtf format). Works with ASCII and Unicode encodings. Uses special filters to exclude 'junk' in the file. 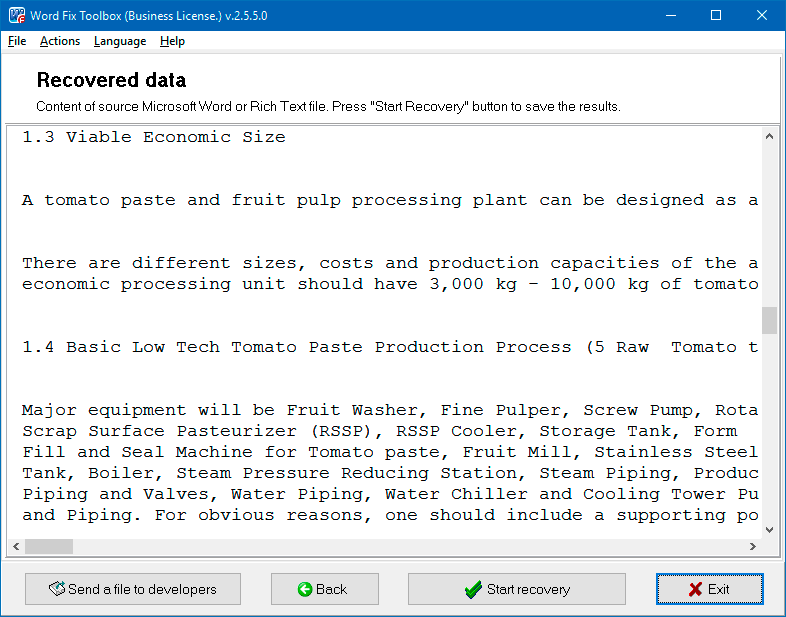 Export recovered data directly to Microsoft Word, or save as a text file. Intuitive interface of Microsoft Word Fix Tool. The corrupted Word file fix program can export recovered text directly into Microsoft Word, or save it as a text file (*.txt format). Word Fix Toolbox can fix Word document any version. Note: The program is not licensed under GNU General Public License (GPL) or GNU Lesser General Public License (LGPL). Word Fix Toolbox is not open source software or a freeware tool. 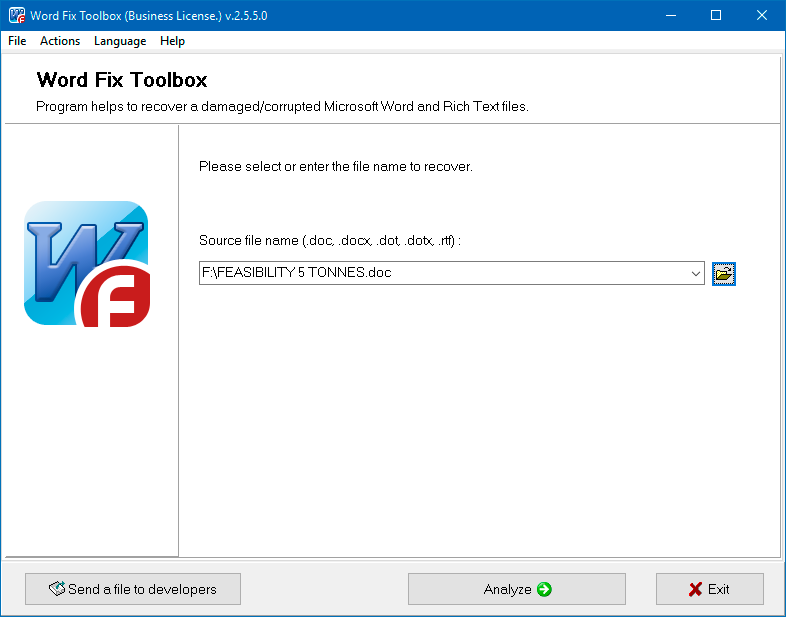 Word Fix Toolbox is distributed on the try-before-you-buy basis with a free DEMO version. Requirements: for the corrupt Word doc fix procedure: Microsoft Word must be installed for direct export of the recovered text. Selecting the corrupted Microsoft Word document or template information from which should be recovered. Viewing information recovered from the corrupted Microsoft Word document or template. Exporting information to Microsoft Word or saving it to a text file.